A large swath of literature on the civil rights movement exists in the United States. Much of that literature focuses on the dramatic events of the African American resistance to Jim Crow and oppression from the mid 1950s through the early 1970s. Frequently, this material is scholarly and, at best, only marginally accessible to the general public. 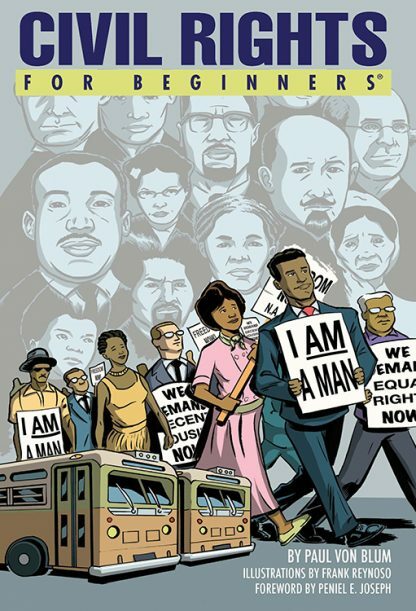 Moreover, many of the books on the modern civil rights movement focus exclusively on a narrow historical time frame and often on widely recognized public figures like Rosa Parks and Dr. Martin Luther King. Civil Rights For Beginners fills a major gap by placing the modern civil rights movement into a broader historical perspective. It also discusses the civil rights and liberation movements from the 60s to the present that the African American freedom struggles helped to catalyze including the Chicano Movement, the American Indian Movement, the Asian-American Movement, the Women�s Movement, and the Gay Liberation Movement. Unlike most civil rights books, Civil Rights For Beginners focuses less on major leaders and more on the ordinary African Americans who provided the backbone of the successful protests and demonstrations. Moreover, it deals with the expressive culture of the movement, surveying key developments in literature, music, visual art, and film, all of which served both as integral features of the movement as well as contributing to its enduring legacy.